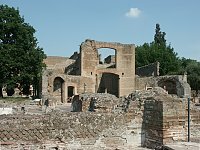 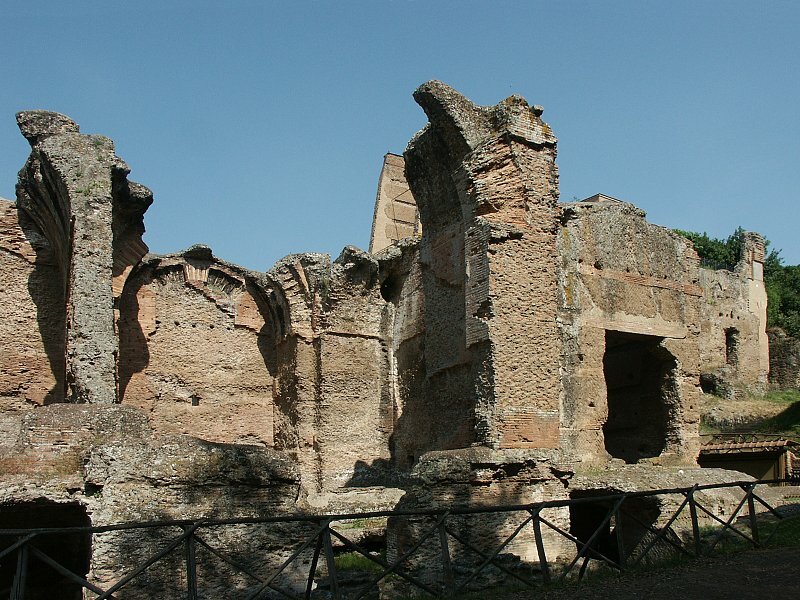 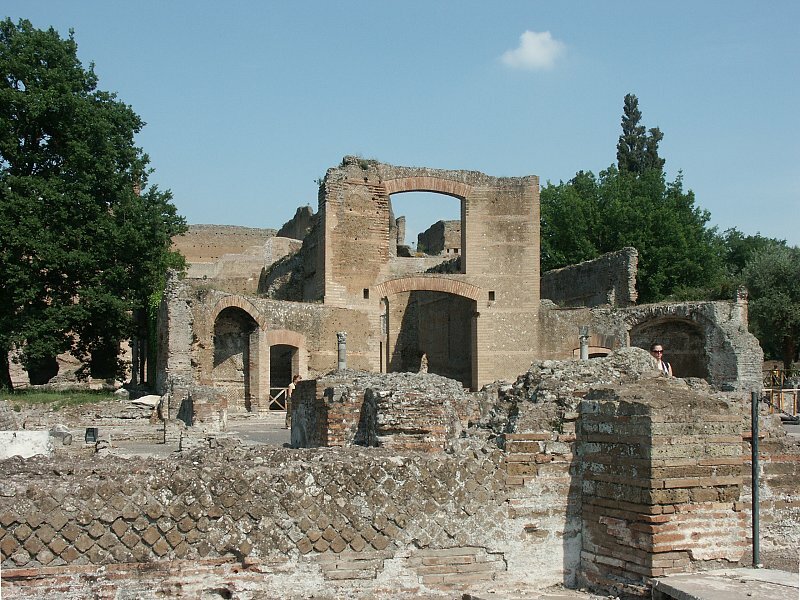 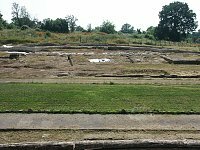 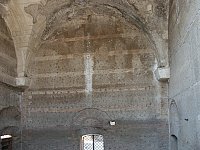 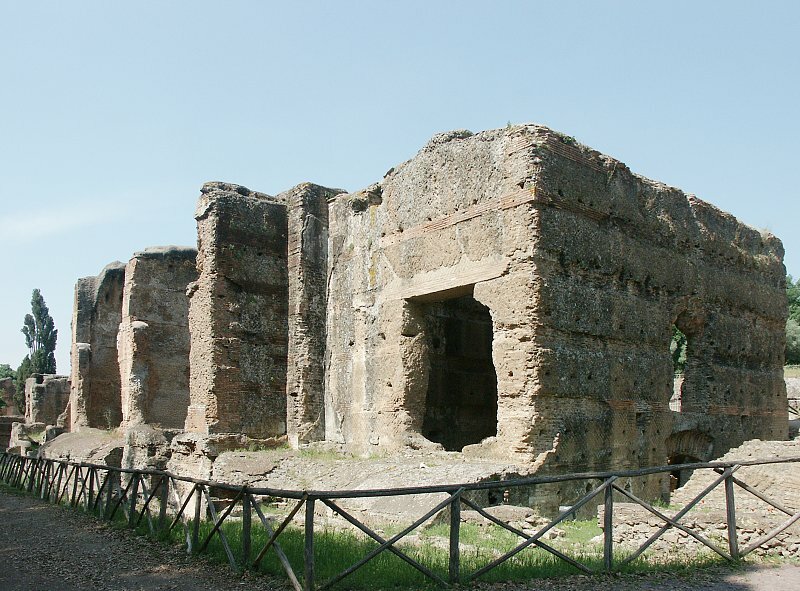 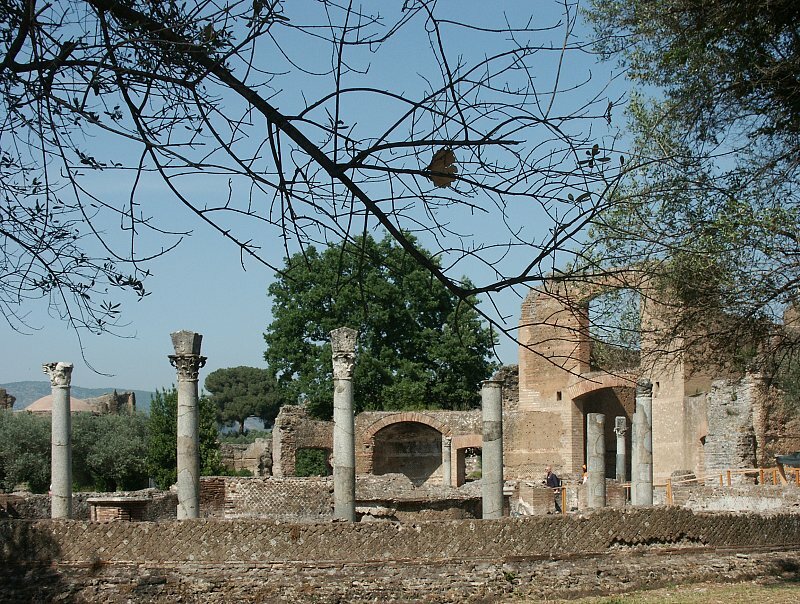 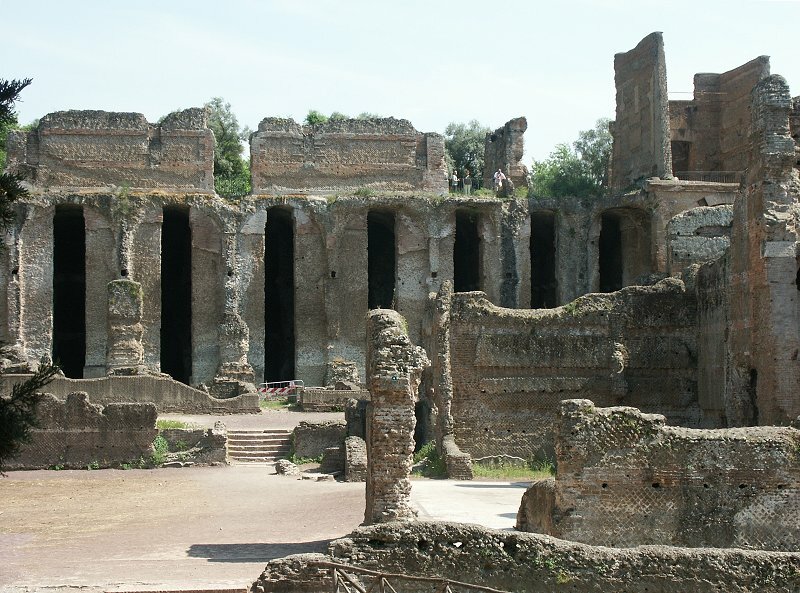 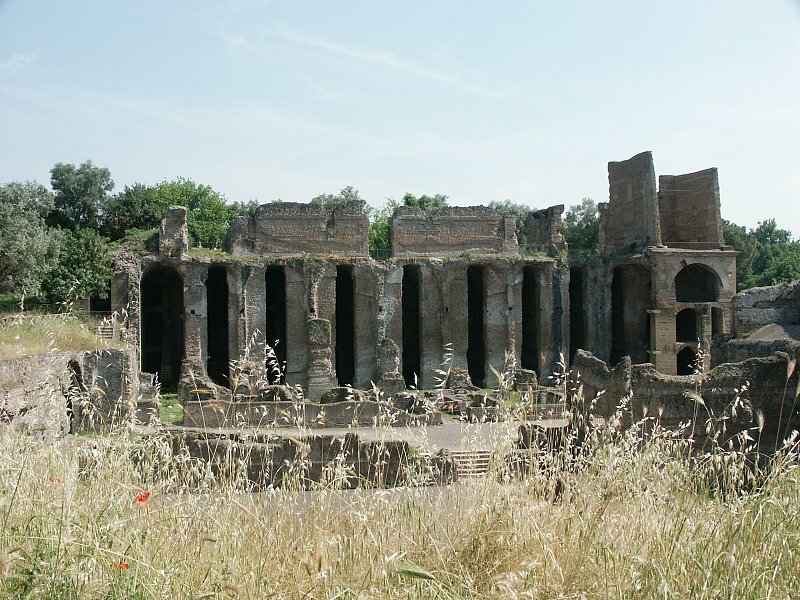 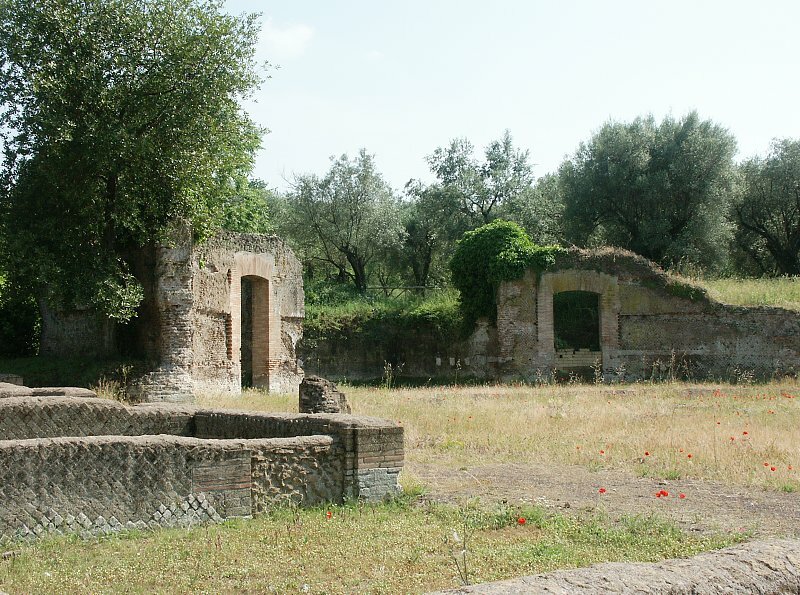 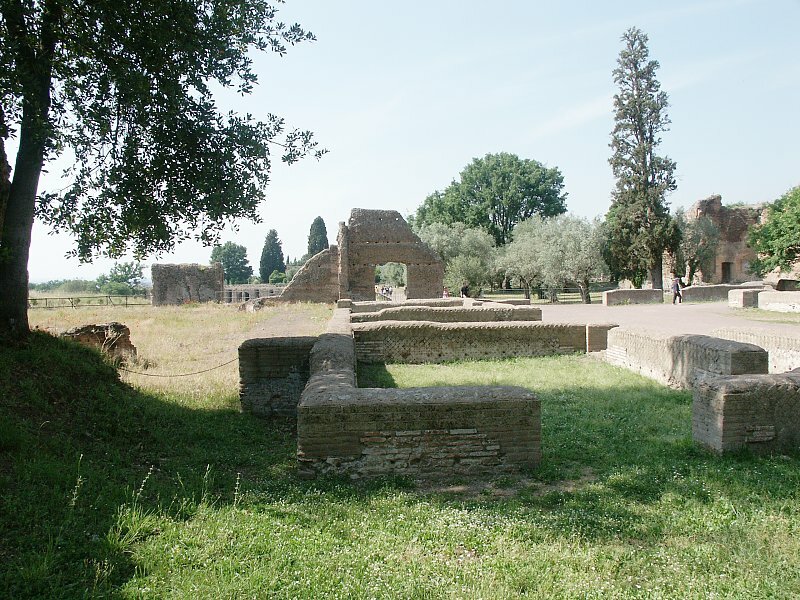 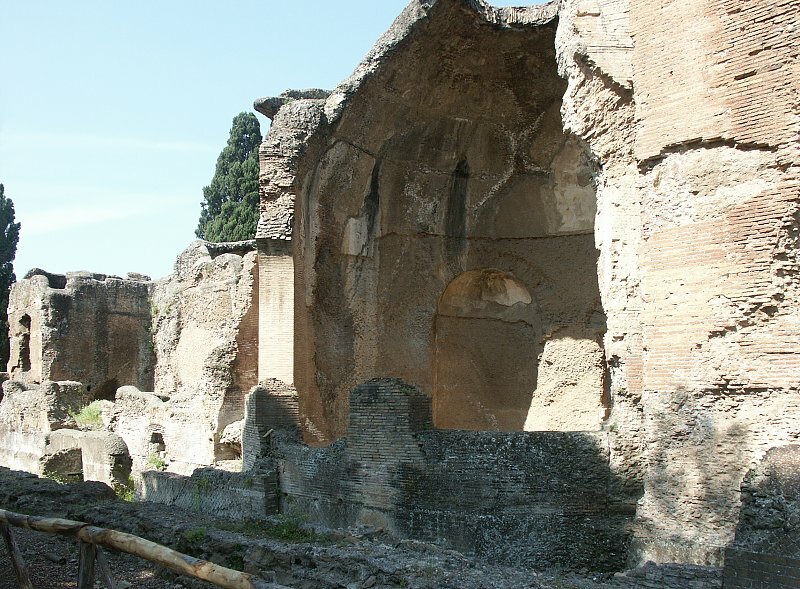 This was a residential area, some think for the praetorian guards who protected the emperor, others postulate that craftsmen who worked on the decoration of the villa lived here. 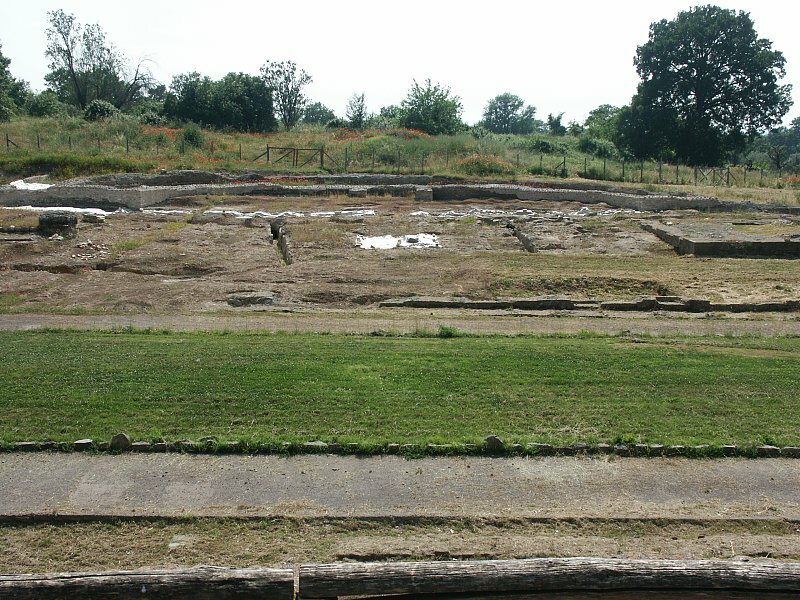 Latrines are nearby, which also lends credence to the idea that this area was residential. 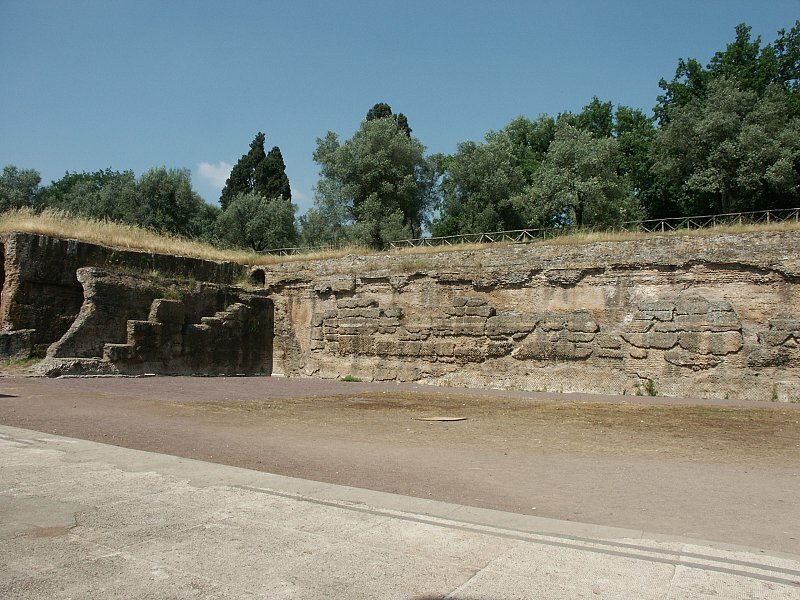 Recent excavations have uncovered paved roads in this area as well as the foundations of a large exedra dedicated to Antinous with fragments of sculpture in an Egyptian style. 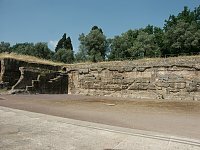 Antinous, Hadrian's favorite, was associated with Osiris and drowned in the Nile. 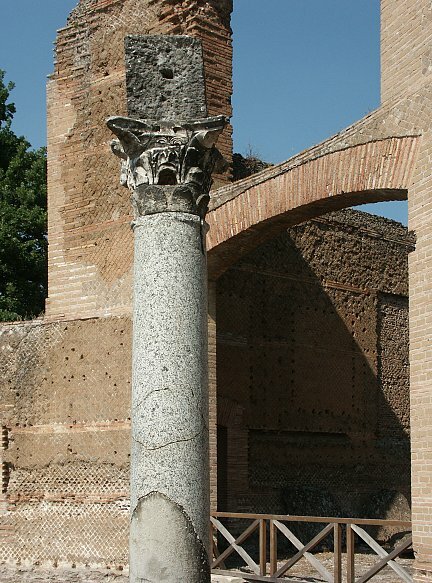 Several columns with ornate capitals still remain here. 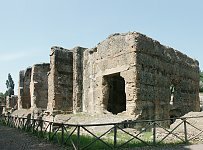 This building is described as the entrance and communications hub to various parts of the imperial palace. 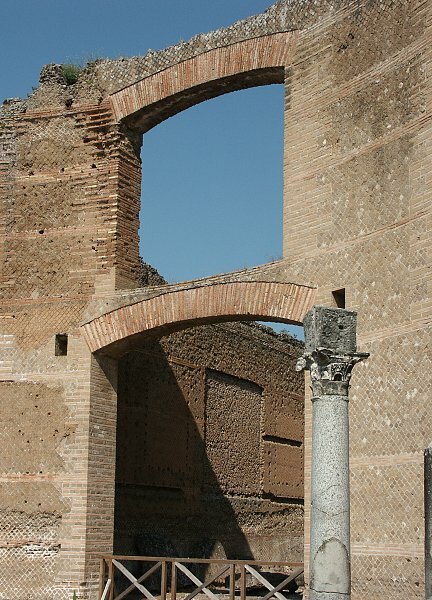 A garden with fountains fronted this entrance. 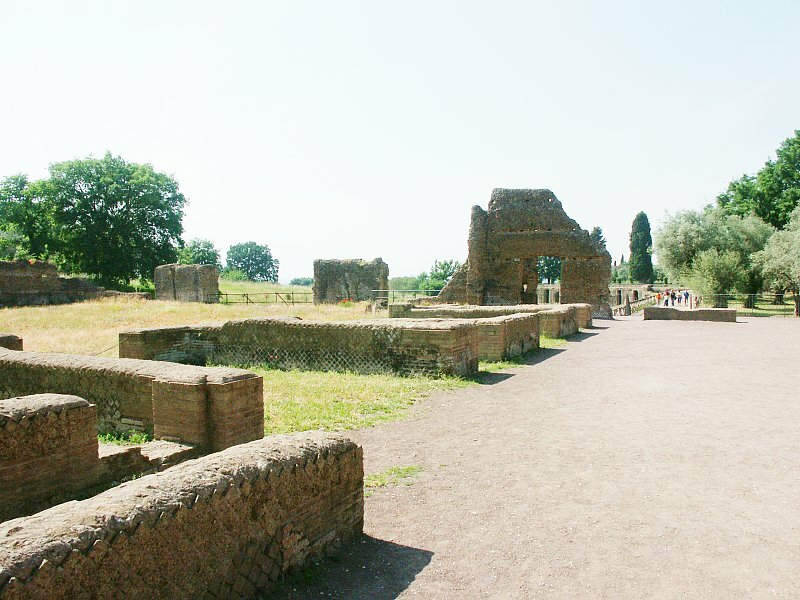 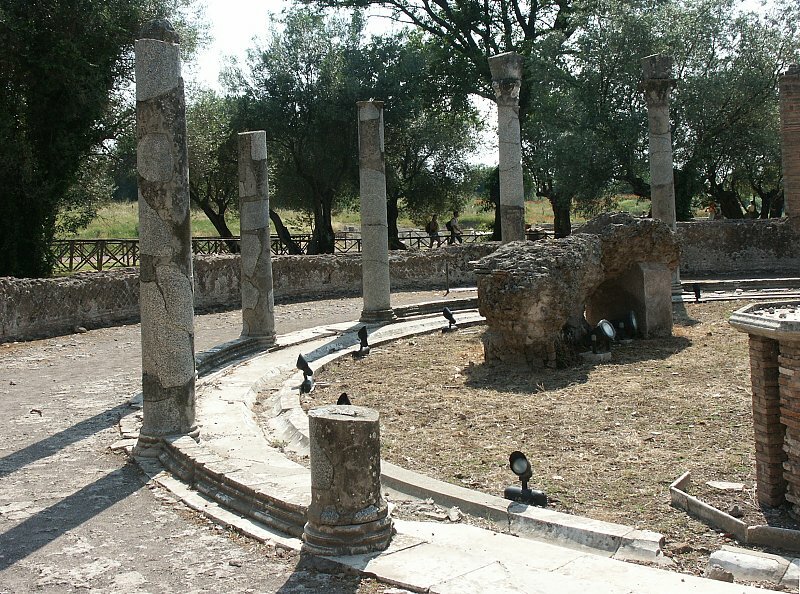 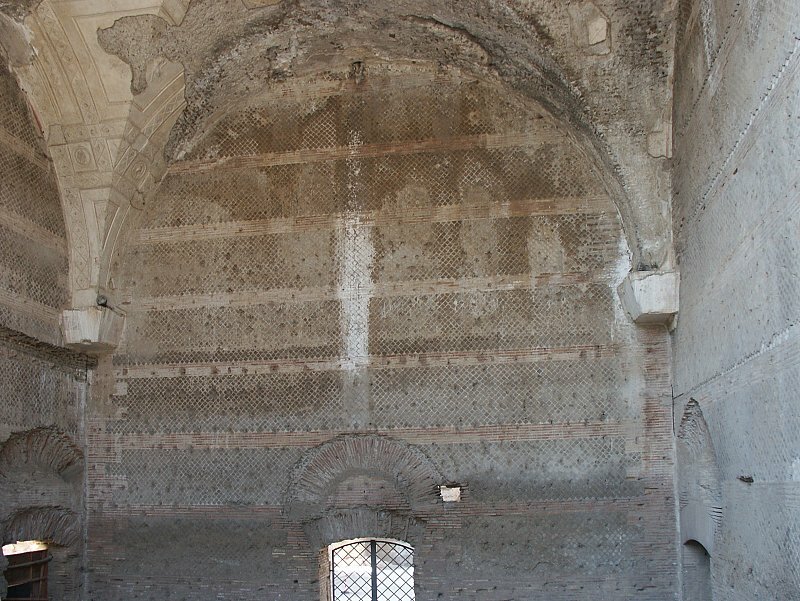 "The location of this complex, which overlooks the monumental fountain and central courtyard, has led researchers to postulate that this served as a Summer Trivialities [dining room], which was probably only closed by curtains and whose floor was paved with a rich display of marble" (Adembri 81).